Today, price forecasts for gold in 2008 range from $725 to $1,100 per ounce, but it still does not really matter. Over the long term, prices of precious metals – gold, silver and platinum – will rise to much higher levels, in all currencies. This is because the underlying factors causing the increases will not only continue, but will likely accelerate. Although precious metals and all other commodities are currently priced in US dollars, it is important to note that since the summer of 2005 gold has increased in every major currency. It has climbed by 101 percent in US dollars, 93 percent in British pounds, 82 percent in euros, 93 percent in Swiss francs, 111 percent in Japanese yen and 78 percent in Russian rubles. Canadian dollar price increases have been a more modest 65 percent, because the Canadian dollar has increased in value from US$0.82 to approximately US$0.99. While gold receives little media attention, its counterparts receive even less. Silver has increased from $6.35 per ounce to $15.24, up 140 percent. Platinum has increased from $843.12 per ounce to $1531.00, up 81 percent. 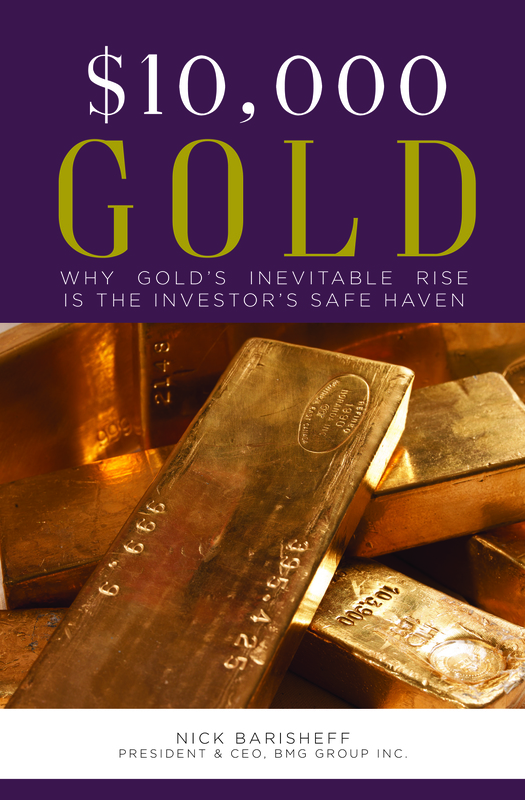 To date, the rising gold price and its implications have been largely ignored by mainstream investors and the media, even though precious metals have been one of the best-performing asset classes. It will come as a surprise to most that gold prices have already exceeded their 1980 peaks. While in 1980 the daily peak was $850, the gold price only surpassed $800 on two trading days, and $700 on six trading days. By comparison, in 2007 gold surpassed $800 on 21 days, and $700 on 78 days. The peak monthly average of $675 in January 1980 was surpassed in each of five months in 2007. The peak annual average of $612 in 1980 was surpassed by the $695 average in 2007. Often price increases are attributed to jewellery demand from China and India. While this is an important demand factor, in South East Asia jewellery is not regarded as just an adornment, as in western countries. It is held as a monetary asset that is used to preserve wealth from generation to generation. Even though a bullish case for precious metals can be made based on simple supply-demand fundamentals (falling mine production, mining companies dehedging, demand rising), the price rise is not due to simple commodity fundamentals. To fully understand the rise in gold prices, it is essential to understand gold’s monetary role. Gold and silver have been used as money for over 3,000 years, and platinum for several hundred years. Today, they are still used by the world’s richest families as a store of wealth and an inflation hedge. Most central banks hold gold as part of their currency reserves. Although there is considerable controversy over central banks’ leasing of gold, they report current gold holdings of about 928 million ounces, down just 160 million ounces from the 1980 peak of 1,080 million ounces. While western central banks have reduced their holdings and may have leased substantial quantities of their bullion holdings, developing countries have been adding to their reserves. Today, a number of central banks have openly discussed diversifying out of US dollars and increasing their gold holdings. The fact that most banks and brokerages trade gold at their currency desks rather than their commodities desks also attests to gold’s monetary role. The net daily turnover of about $15 billion in physical bullion by members of the London Bullion Marketing Association also confirms gold’s current monetary role. Although the daily volume is unpublished, it is estimated at $100 billion to $150 billion per day. Clearly, this is not a result of jewellery demand, but a result of gold trading as a currency. If we understand gold’s monetary role, what does its rising price indicate? Analysis of economic statistics can lead to a variety of conclusions. Some economists say the global economy is headed for a recession, while others believe the worst is over and 2008 will be a good year for financial assets. However, a rising gold price is essentially a vote of non-confidence in paper currencies and a leading indicator of future inflation. Many global investors are concerned about counterparty risk problems, and what may turn out to be the worst financial crisis the credit markets have ever seen. In addition, the explosive growth in derivatives, new highs in the oil price, unsustainable US consumer debt, and a possible unwinding of the yen carry trade provide plenty to be concerned about. While investors are concerned about these vulnerabilities in the midst of the worst financial crisis the credit markets have ever seen, the major cause of gold’s price increases can be attributed to unprecedented increases in global money supply and the inflationary implications. Contrary to the common belief that inflation is an increase in the Consumer Price Index (CPI), the classical definition of inflation is an increase in the money supply, which results in price increases. Although the US Federal Reserve discontinued reporting M3 in March 2006, several sources have reconstructed the data and determined that the US money supply is now growing at an unprecedented annualized rate of 16 percent. Since 2005 the US money supply has increased from $10 trillion to $13 trillion. Increases in money supply will likely accelerate, since central banks have announced they are prepared to provide liquidity in unlimited amounts in order to maintain bank solvency and prevent a systemic financial crisis. The inflationary implications of this policy should be obvious. Gold’s role in predicting inflation has been documented by several sources. Recent studies by Ibbotson Associates and Wainwright Economics confirm that gold does provide a hedge against inflation over the long term, and that price increases are leading indicators of future inflation. Most recently, the Bank of Canada published a paper entitled “Gold Prices and Inflation”, which concluded that gold prices contain significant information about future inflation. Wainwright Economics has conducted studies that show gold, silver and platinum are the best leading indicators of inflation over all other commodities, with platinum taking top honours. Given that gold increased by 26 percent in 2007 and that platinum increased by 32 percent (and has now surpassed its 1980 all-time high by nearly 43 percent), the future outlook for real inflation indicates dramatic increases. It’s not only precious metals, however, that are pointing to much higher inflation rates. Financial media generally use the Core Consumer Price Index (CCPI) as a measure of inflation, although it is only useful for people that don’t eat, or use energy. The full CPI has been relatively benign until lately, rising from an annualized rate of 2.5 percent early in 2007 to 4.3 percent in November. Even with this recent increase, the CPI understates and lags real inflation. It is important to understand that the methodology used to calculate the CPI was changed, in the early 1990s, by the Clinton administration. Many adjusting factors, such as substitution and hedonic adjustments, were introduced. Recreation of the CPI using the original pre-Clinton formula shows that it is currently increasing at an astounding 8 percent. Finally, the Producer Price Index (PPI) has increased by 7 percent, commodities prices by 17 percent, and oil by 57 percent in 2007. In establishing asset allocations for the coming years, a realistic view of inflation is crucial. Real wealth management must take into account real inflation. If real inflation is already at 8 percent, then long-term bonds are not really a safe investment, but rather a guaranteed loss of purchasing power. And while the equity indexes may make new highs in nominal terms, they will likely experience losses in real terms. A clearer picture unfolds if investment performance is measured in gold ounces. The Dow:gold ratio is an accurate long-term trend indicator. It peaked at 43:1 in 2000, and had fallen to 24:1 in 2005. It now stands at 16:1. This means that if you purchased a unit of the Dow with 24 ounces of gold in 2005, you would now get back only 16 ounces – a loss of 36 percent, even though the Dow made new nominal highs in 2007. As we begin 2008, one thing is undeniable: the gold price has been steadily rising in all currencies since the summer of 2005, and that rise is now accelerating. Since climbing precious metals prices are an accurate indicator of future inflation and other economic vulnerabilities, investors would be prudent to structure their portfolios to minimize the effects of rising real inflation, and protect their wealth from systemic financial risks. According to studies by Ibbotson Associates, precious metals are the most positively correlated asset class to inflation. From a strategic point of view, Ibbotson determined that portfolios could reduce risks and improve returns with a 7-15 percent allocation to precious metals bullion, without any consideration to rising inflation or the impact of any financial vulnerabilities or imbalances. 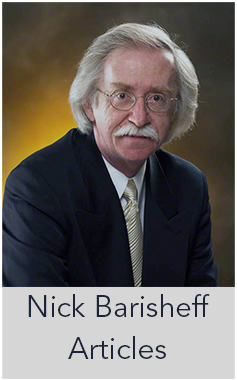 Wainwright Economics determined that, in the current rising inflationary environment, bond portfolios need an 18 percent allocation to precious metals bullion and equity portfolios need 47 percent just to immunize them against inflation. In order to profit from current market conditions, portfolios should have much higher allocations. While we can debate appropriate percentage allocations, the fact remains that even though precious metals have posted impressive increases since mid-2005, most investment portfolios have no allocation to precious metals whatsoever. As a result, they are not protected from inflation or other systemic vulnerabilities, and are neither balanced nor diversified. While mining stocks and precious metals proxies and derivatives may provide some exposure and trading opportunities, long-term wealth preservation requires fully allocated, segregated and insured bullion. As we have recently seen, the counterparties to Collateralized Debt Obligations (CDOs) and mortgages may default. The counterparty risk in many derivatives, which Warren Buffett calls “financial weapons of mass destruction”, is unknown. Since bullion is not dependent on anyone’s promise, representation or ability to perform, and is not someone else’s liability, only it can provide protection against both systemic events and inflation while incurring low levels of risk. 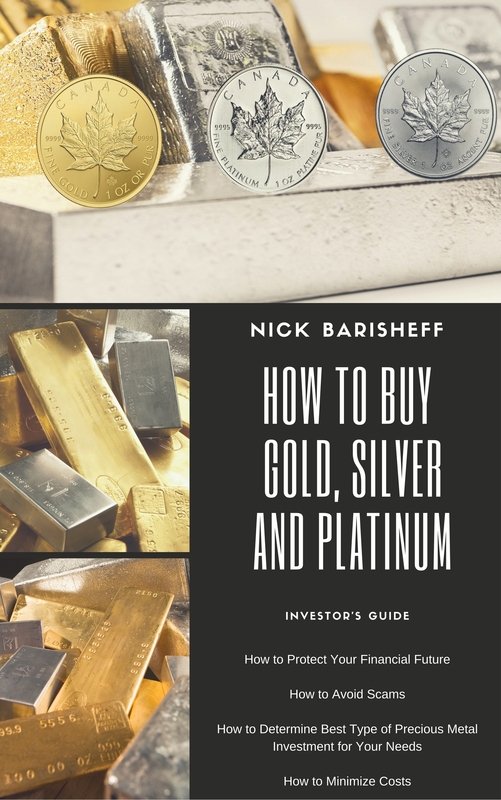 As the prices of gold, silver and platinum continue to rise, mainstream investors and institutions alike will begin to reallocate a portion of their resources, which exceed $187 trillion, to precious metals. Since above ground supplies of precious metals represent less than $4 trillion in total, and only $600 billion in privately held gold bullion, substantially higher price are indicated. If global investors decide to allocate even a modest 10 percent of their assets to gold, $18 trillion in financial assets will attempt to move into this tiny $4-trillion market and higher prices will be the inevitable result. When that reallocation begins, gold at $1,100 per ounce will look like a bargain.